I had the opportunity to attend the “Internet Cowboys UnConference” in Jackson Hole last weekend. This conference, hosted by Yuval Almog and Yossi Vardi brings together internet and media executives for a conference in the style of “FooCamp” with user generated topics and discussions. There were great presentations by the likes of James Wolfensohn on the state of the world economy, Adriana Cisneros on the growing consumer market in Latin America and Arthur Sulzberger on the future of Journalism in the internet era. I let a discussion on privacy in the cloud and there were many other interesting sessions ranging from online education to the physics of YouTube. The conference sessions go from 2-10 pm leaving the morning for outdoor activities. For me the choice of activity was a no-brainer. Being in one of the most beautiful hiking spots in the world I couldn’t wait to get out in the mountains. 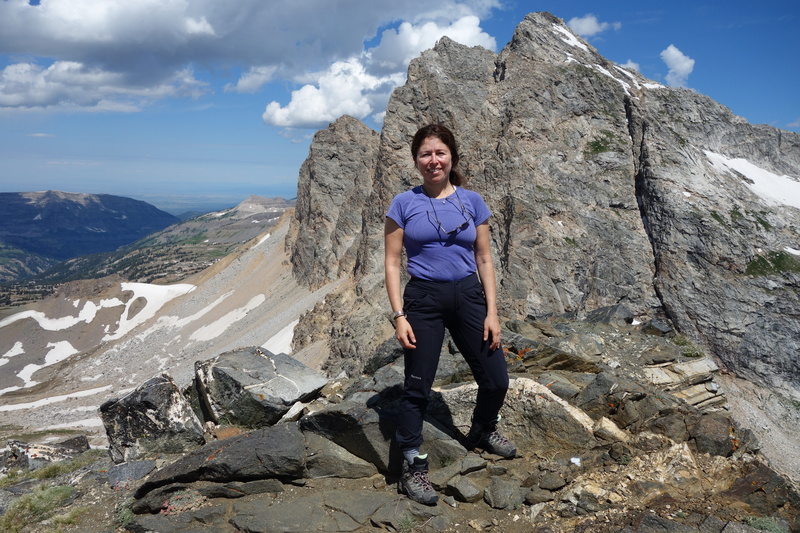 Two hikes were offered each day – hard and easy – I opted for the hard hikes. The first day we took the tram up to the top of Teton Village – this is the main ski area when people talk about skiing Jackson Hole – highest single lift elevation gain in the US. We hiked down a couple of thousand feet and back up. Beautiful views and good chance to acclimatize to the elevation. 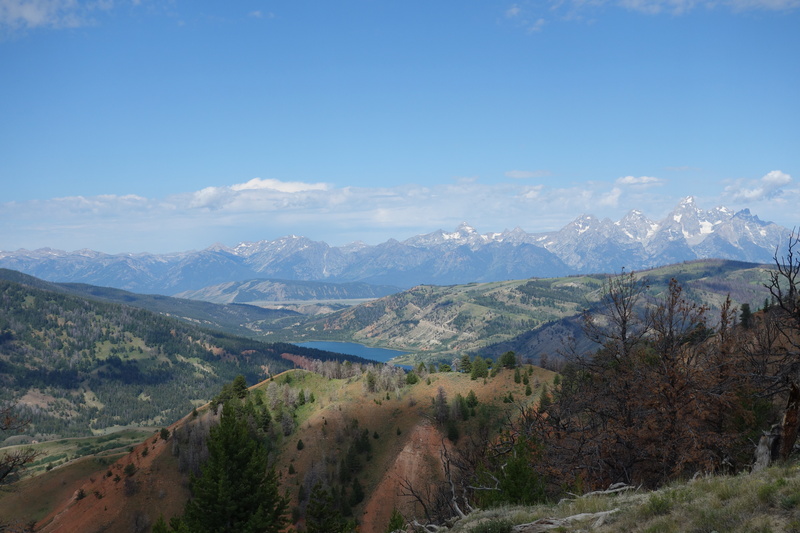 The second day a small group of us went to the Red and Lavender Hills in the Gros Ventre range. Incredible views of the Tetons from the other side of the valley and great wildflowers. I made a couple of comments to Daniel Almog that the “hard” hikes were not very hard and he invited me to join him and a few of his friends to hike Static Peak Sunday morning. We would need to leave at 5:30 to get back for the conference program as it is an 18 mile hike. The trail gains a total of 5300’ of elevation topping out at 11,303’. 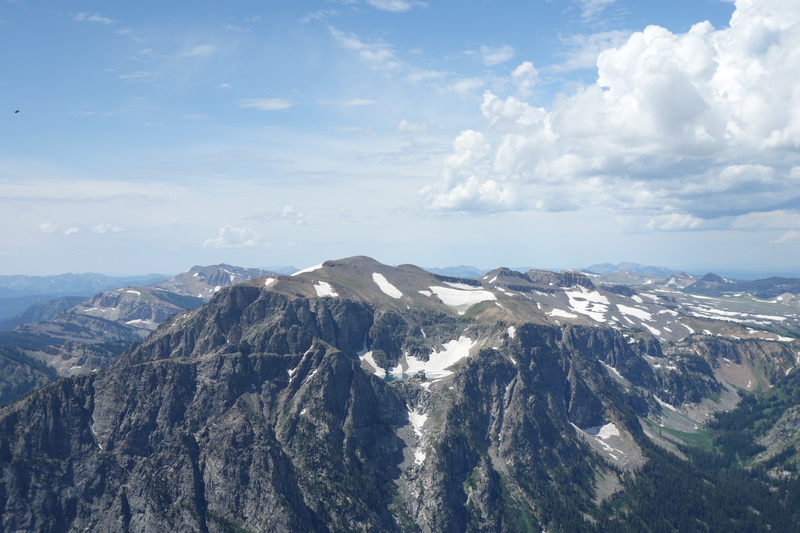 I was a little worried – my hiking companions were four guys about 20 years younger than me and this was the longest hike with the most elevation gain I had ever done. Fortunately the trail, while long, was quite smooth until the last few hundred meters of rocks. 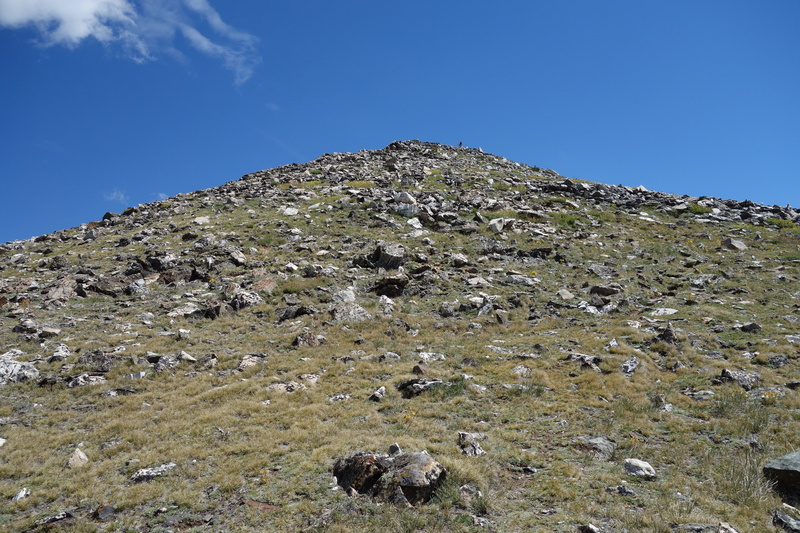 (I’m seeing a pattern here of the peak sections being mostly boulders – Mt Tallac was the same). The trail was incredibly scenic and and relatively few super steep sections. 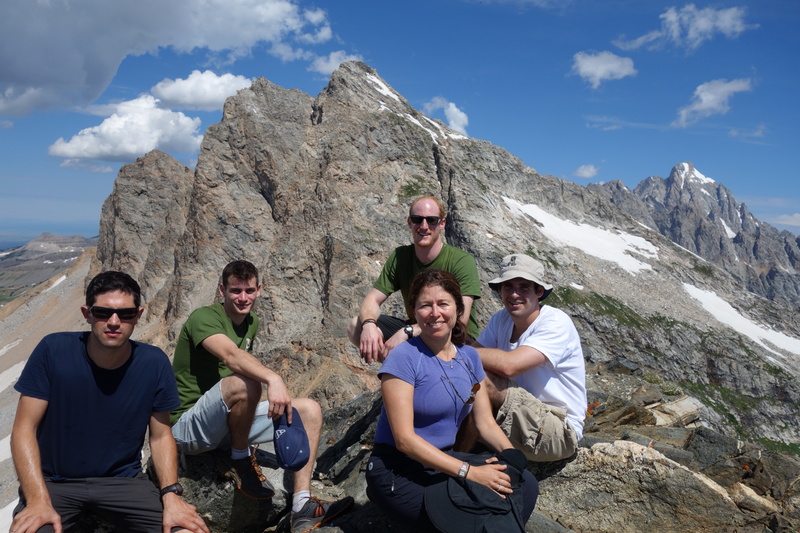 I found it challenging but doable – I am glad to report I was not the last one to summit. 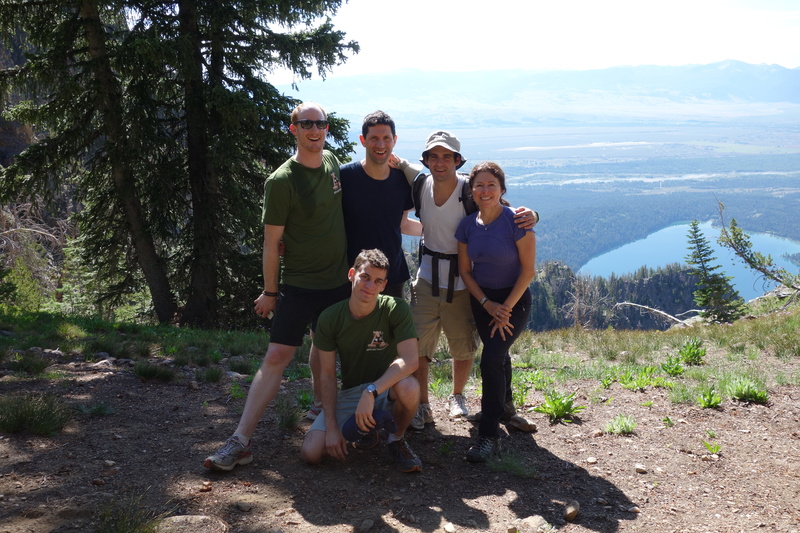 It was fun hiking with new people – we had many things to talk about – everything from religious arguments – liberal jew (me) v. orthodox (Udi) to how to distribute apps in the education market to favorite hikes and travel destinations. Here are a few pictures from the trip. View of Phelps lake about 1/3 of the way up Almost to the top – just a few hundred meters of rocks with no trail. At the top with a view of Bucks Peak This was my favorite vista – check out the lake high up! No pictures from the way down. It’s called Static peak for a reason. Right after we left the peak we heard cracks of thunder so we jogged the first couple of miles down to get to a safer location. We finished the hike down at a normal pace – we did get a bit wet and my camera stayed in the pack but it did not put a damper on the day. This entry was posted in Fitness, The Cloud, Travel and tagged ICUC, Jackson Hole, Static Peak, Tetons by lyecies. Bookmark the permalink. Nice essay. Terrific pictures. I believe you are truly ready for Mt. Whitney. Great photos – your new camera? You’re definitely ready for your Mt. Whitney climb – awesome! Laura – This looks like great fun!